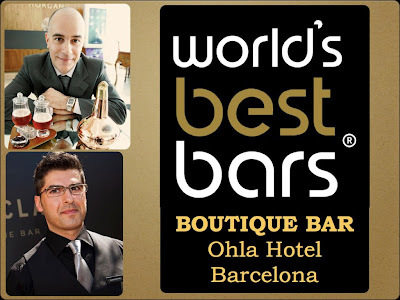 Max La Rocca & Giuseppe Santamaria are proud to share with you all the wonderful news of Boutique Bar Barcelona being added to the WORLD’S BEST BARS Website!! Tnx to all the people behind WBB, our precious guests, colleagues and friends that have supported us whilst running Ohla Hotel’s “BOUTIQUE BAR”. …It’s our journey to YOU all…hoping to have soon the pleasure of guiding you through this wonderful experience.